SCHEDULE NOW POSTED (Updated as of 4/21). COACHES CHECK YOUR EMAIL FOR DETAILS. Sign up for text message alerts in the event of weather delays or schedule changes during the tournament. To subscribe, text 84483 and enter RCAPR26 in the message field. 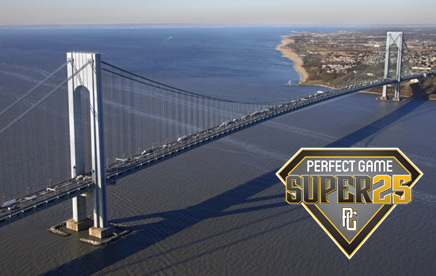 The 2019 PG Super25 12U Staten Island Spring Super Qualifier will be held in Staten Island, NY, Apr 26, 2019-Apr 28, 2019. This tournament is for teams eligible to play in the 12U age division for the 2018-2019 National Championship season and players must meet the age limit criteria. For additional information, contact Christina Flashner at christina@rcbclub.com or 718-887-5078. Games: 3 games guaranteed, weather permitting. Teams will play 2 random pool games on Saturday afterwhich teams will be seeded 1 through 9. All teams will advance to the playoff round on Sunday. Seeds 8 and 9 will play a play-in game with the winner advancing to the quarter finals along with seeds 1-7. Refer to the Tournament Rules for the tiebreaker guidelines. Perfect Game is an organization that defined an industry and remains baseball’s most respected scouting report service. Perfect Game provides showcases, tournaments, online video, national rankings, player profiles, scouting reports and college and professional opportunities to the nation’s top prospects and their families. Where talent goes, professional scouts and top college recruiters are sure to follow, and Perfect Game can offer the best in baseball increased exposure, insight and professionalism to propel them through their baseball careers. Why the Braves’ Roy Clark says that top colleges and scouts know PG is the best! Roy Clark: "Jerry (Ford) and his staff do an outstanding job. We feel that they put on, and it’s not even close, the best showcases and tournaments of anybody. They’re so well organized. Jerry has tremendous knowledge of scouting. They have a lot of former professional and college baseball people in their organization. "Since they put on the best showcases and tournaments, naturally they’re going to get the best players. We are pretty much a high-school oriented organization, so where the best players go, we will be there. We have sometimes up to 10 or 11 scouts covering Perfect Game events. It gives athletes the chance to compete at the highest level of their age group, in a team or showcase format, in some of the best facilities in front of both colleges and scouts. "They’re (Perfect Game) the best, and the top colleges and the highest level scouts know it." Perfect Game set a new record for the tenth consecutive year following the 2011 MLB draft. Of the 1,530 players selected, 1,323 had attended a Perfect Game event, and 294 of the first 331 picks were Perfect Game alumni. Many of these alumni had participated in multiple Perfect Game tournaments, showcases and/or leagues. In the past ten years, 9,073 Perfect Game participants have been chosen in the MLB First-Year Player Draft. However, these figures do not account for the many Latin American free agents who participate in Perfect Game showcases and tournaments and then sign with Major League clubs. One can only imagine how many Perfect Game alumni will ultimately reach their dream of playing Major League Baseball down the road. Perfect Game does not take any credit for the numerous outstanding players selected in the draft or the many more who go on to play college baseball. Perfect Game simply provides talented players a means to be identified and evaluated closely while competing with and against the best worldwide. Perfect Game identifies players, provides an opinion, and then lets Major League scouts and college coaches form their own. MLB scouts and college coaches make the most important decisions, and luckily, they follow what we do very closely - not only in person, but online as well. 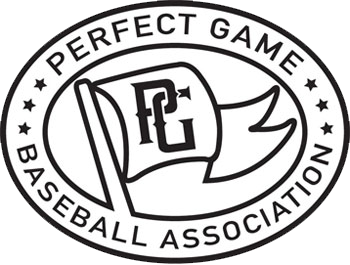 Perfect Game has more talented players in attendance than any other organization. The proof is in the results. •	All 43 of the 43 first and supplemental first-round picks of the 2018 MLB Draft had previously attended a Perfect Game event, including the No. 1 overall pick Casey Mize. •	77 of the 78 players selected on the first day (top two rounds) of the 2018 MLB Draft had previously attended a Perfect Game event. •	37 of the 78 players selected on the first day of the 2018 MLB Draft had previously attended a Perfect Game National Showcase (27 of which did so in 2017). •	27 Perfect Game All-Americans were selected on the first day of the 2018 MLB Draft, 24 of which played in the 2017 Classic. (2011), Bryce Harper (2010) and Justin Upton (2005). •	By the end of the 2017 season, 1,070 players who had previously participated at a Perfect Game event had played in Major League Baseball. Perfect Game has been hosting elite amateur events all over the country since 1999. Talk about credibility and reputation. The statistics below are staggering and they represent all alumni for PG tournaments and showcases.